I was contacted a couple of weeks ago to see if I would like to review a new book by Southern Living called Southern Living Style. Now, I don't know if I've ever mentioned it before, but I might just have a slight obsession with design books. Just a little one. I have a few. Definitely less than 100 though. Definitely less than that. But I love me a good design book. And so I was excited to see what Southern Living had to offer. And I was very impressed!! One of the things that I loved about this book is that it doesn't just show pictures of pretty rooms and then talk about them. It actually gives a lot of practical advice as well. The book was divided into categories focusing on each different type of room: bedrooms, living rooms, dining rooms, kids' rooms and more. And many pictures were broken down for the reader to explain why they work. Then at the end of each category, the book offered ideas on how to customize rooms and how to pull looks together including different types of furniture and accessory combinations. 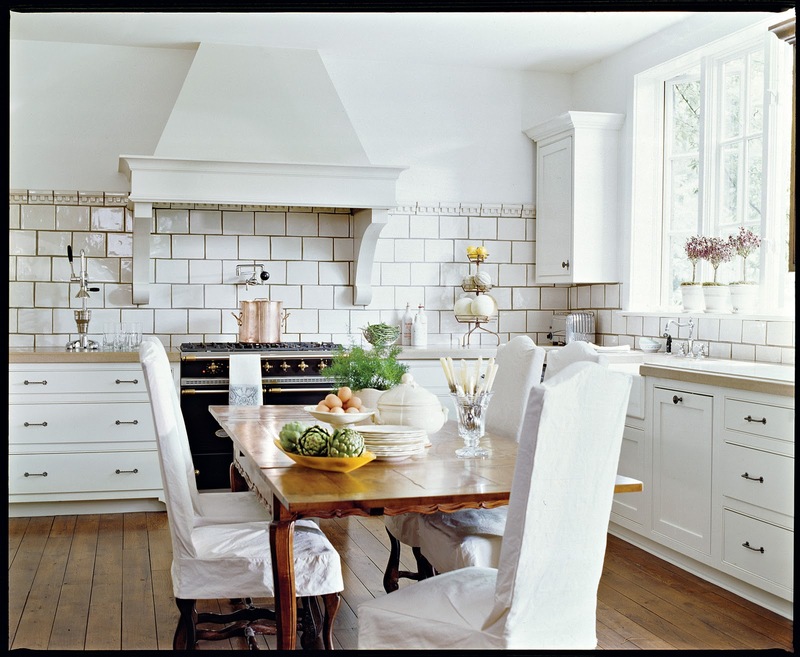 Southern Living Style is a great read for those, like me, obsessed with design and interested in how the designers featured put those particular rooms together. It's filled with both eye candy and practicality which is a good combo for any DIY decorator. Lots of inspiration in these pages! 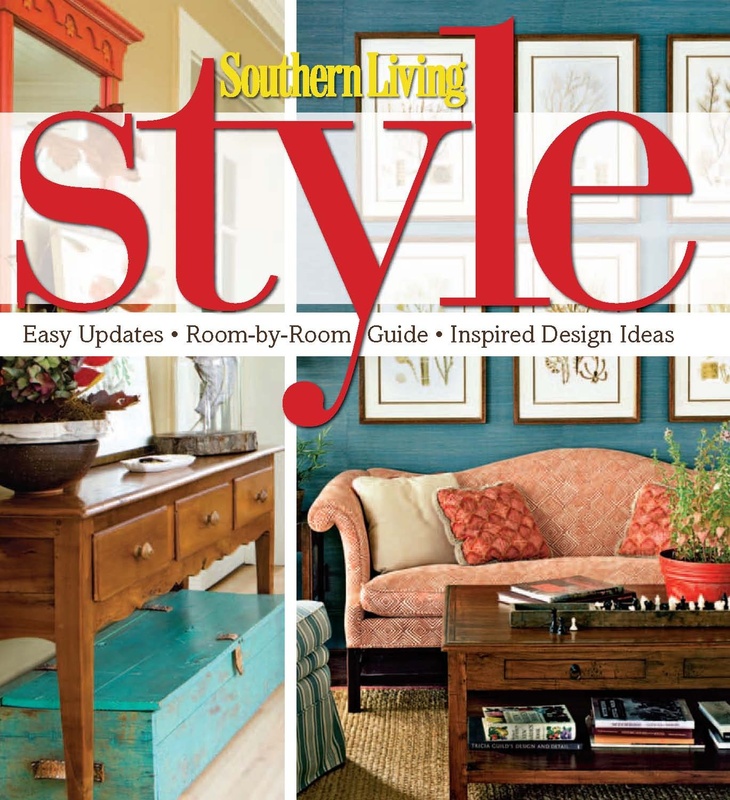 If you'd like a copy of Southern Living Style, it is available for purchase here. 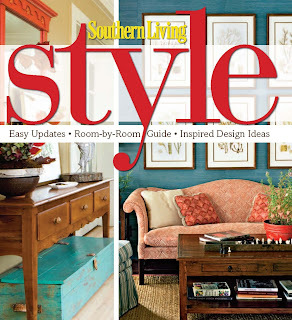 I was given my copy of Southern Living Style free for review. The opinions expressed are my own. 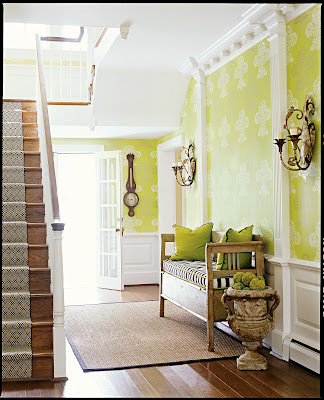 That chartreuse front entrance is gorgeous. It's a good thing for my husband that I didn't see that that colour a few months ago. That looks like one heckuva GREAT book! whoa. Thanks for the hint . . . it looks really delicious for rainy day reading when you don't feel like doing much besides day dreaming.